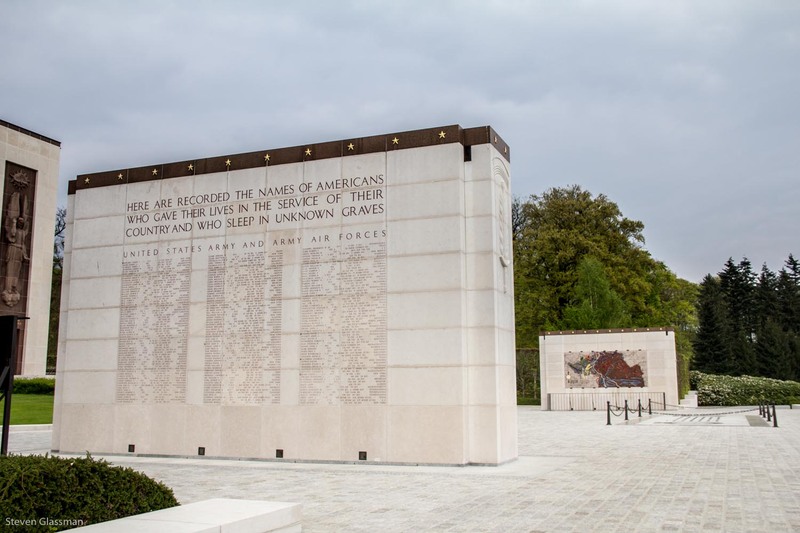 Luxembourg American Cemetery and Memorial – Sunshine. Whimsy. Tacos. Once you get to the top of the low hill, there’s a pretty hard to miss gate leading into the Cemetery. The wrought iron gate holds gilded laurel wreaths, to represent valor. 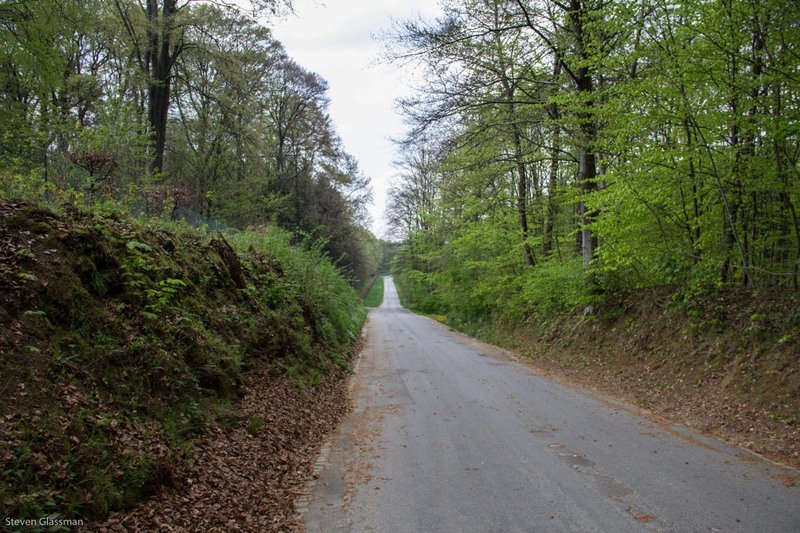 The US 5th Armored Division liberated this site on September 10, 1944. 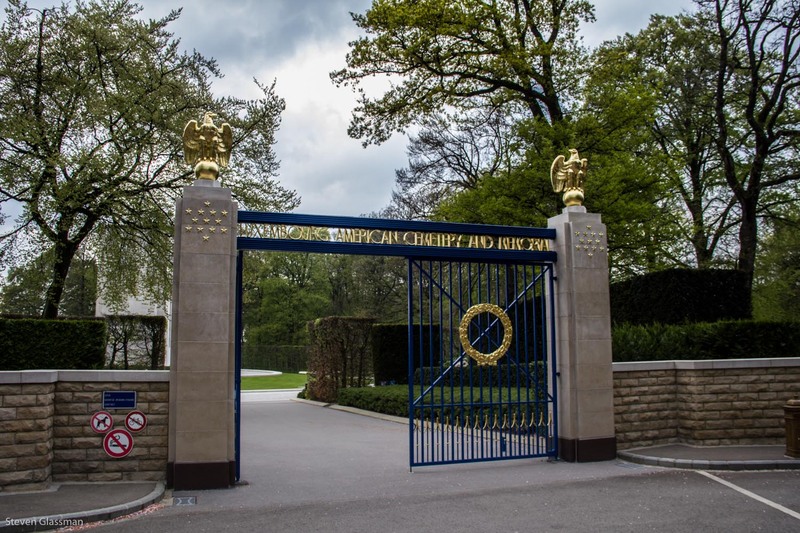 A temporary military burial ground for those killed in action during World War II was set up in December of that year, and the Grand Ducal government of Luxembourg granted permanent use from that time without charging any rent or taxes. 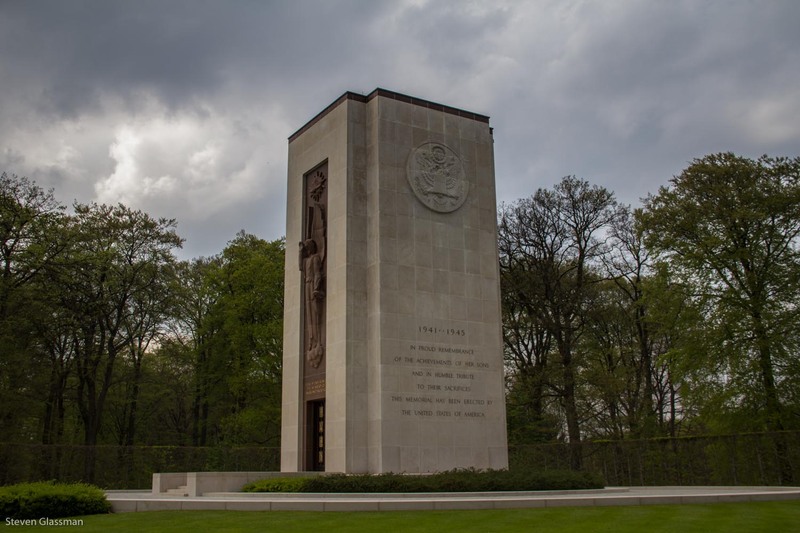 I spoke briefly to the woman who was working in the visitor center near the gate; she told me that the office staff is two American woman (herself included,) and one local who speaks fluent Luxembourgish, French, and German. The centerpiece of the memorial is this tower. The door in the front opens to a small prayer and reflection chapel. Facing the tower are two walls which are Tablets of the Missing, listing the names of 371 Missing In Action. The remains of these soldiers and airmen were never found or recovered. 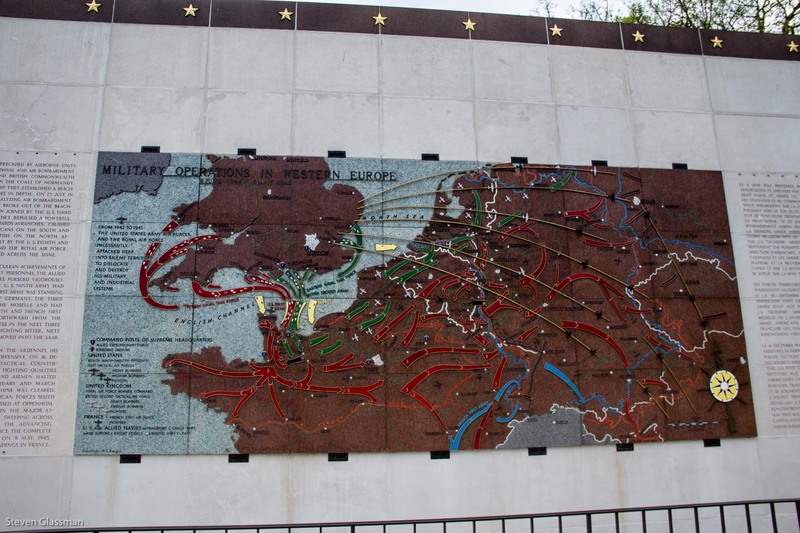 On the other side of the Tablets of the Missing are maps showing the military campaigns fought by these men, including the Battle of the Bulge, fought along the Rhine river. Past the monument are the graves, arranged in a semi-circle. There are 5,076 headstones of those who lost their lives in service of their country on 50.5 acres. 118 of the headstones are Stars of David, like the one near the front in this photograph. 4,958 of the headstones are Latin Crosses. 22 of them are sets of brothers. One of the graves is that of a female army nurse. Walking among these headstones is a quiet, serene experience. A pathway separates the graves area into roughly thirds, containing two fountains. The fountains have bronze dolphins and turtles to symbolize resurrection and everlasting life. 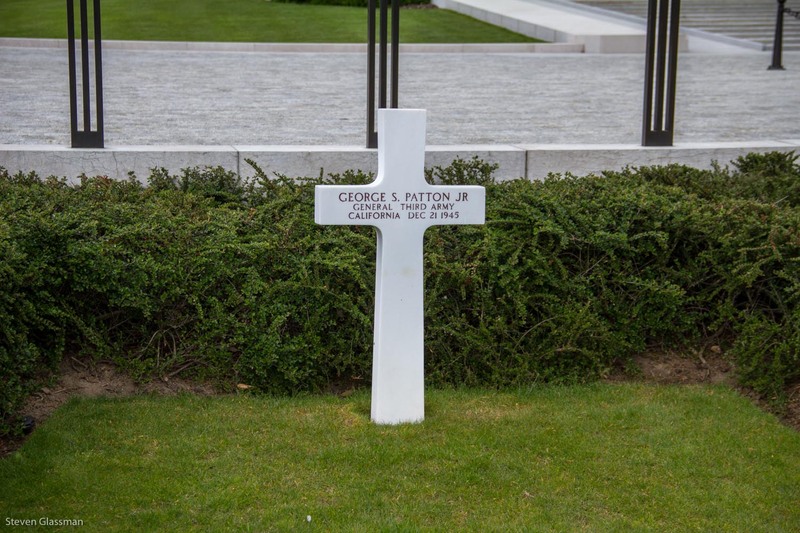 In front of the ranks, between two American flags, and looking out toward the rest of the graves, is the headstone of General George S. Patton, Jr., commander of the Third Army. After a long and decorated military career, General Patton actually died in Heidelberg, Germany, from complications of an automobile collision in nearby Speyer. He was buried in Luxembourg because he had previously requested that he be buried with his men. 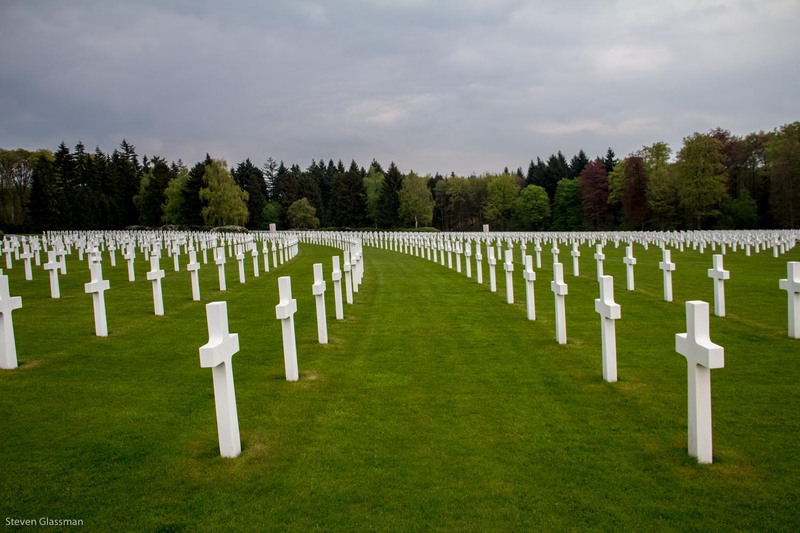 Have you ever been to an American Military Cemetery or Memorial? Yeah, I’ve been to a burial at Arlington. It’s quite an undertaking. One burial every 15 minutes, so everything is managed down to the last detail. The grounds are very moving and inspirational. You have to wait your turn for weeks, and then you’d better be there on time, or you’ll lose your place in line. It gives you a sense of how many veterans there actually are, that the service is in such demand and so well carried out. My friend was a Shriner, and they even had a separate little Masonic rites ceremony during the service. The sound of the gun salute echoes for miles. 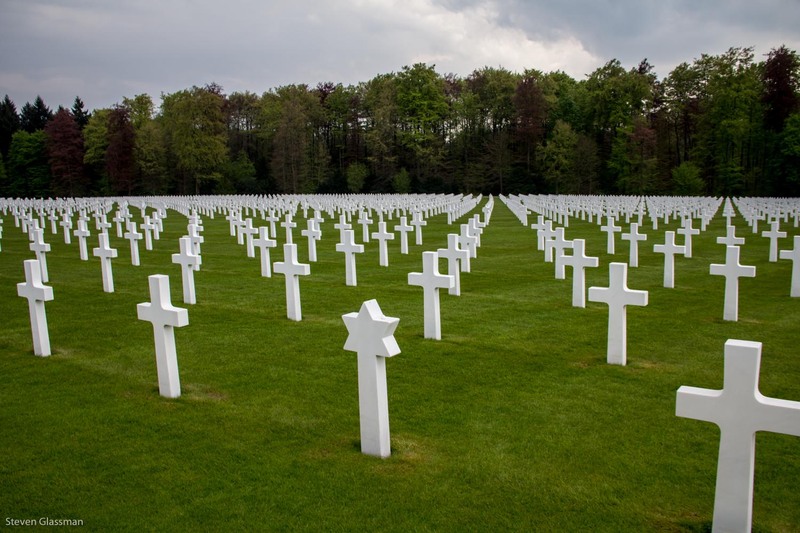 And Taps, among all those crosses, is breathtaking. Been to lots of them. Goes with being an army brat. I was at that one after the Patton Day Parade back in ’65 or ’66 (I was 8 or 9). I mostly remember the tanks in the parade.